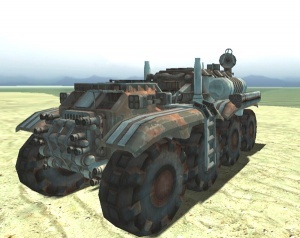 Places an Northern Faction Command Vehicle. It is not recommended to place more than one command vehicle of the same team on a map. Only one commander per team can be active at a time, and when one vehicle dies, the round will end. This page was last modified on 2 February 2009, at 20:44.